Many people view blogging as a colossal waste of time, and when it is done wrong it can be exactly that, but it holds many hidden benefits especially for small business owners. Here are the top three benefits of blogging for businesses. You are an expert in your industry, but not everybody knows that. Potential customers don’t know you from the latest upstart hack. That isn’t fair. Your experience and wisdom are not appreciated unless you have a platform from which to speak. Blogging gives you that platform. Sharing insights about the development of your industry, your competitor’s latest releases and speaking to the needs of your customers will help a world full of potential customers to realize your brilliance. While I may be overstating the point somewhat, you obviously have some knowledge that your customers want. You would not be a small business owner if you didn’t have a degree of know-how. Blogging is the easiest, fastest, most powerful way to put that knowledge on display. 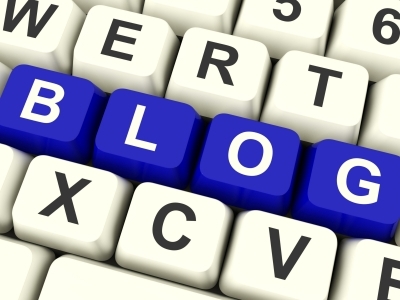 Build a thriving blog, and potential customers will come to think of you as the expert. When the time comes for them to buy, who do you think they will call first? Credibility is great, but wielding a huge amount of credibility among a tiny, stagnant customer base is not going to help you sustain your business. You need new leads, new customers. Blogging can help with that too. As you publish regularly on a blog about your industry, you products and the marketplace that you are hoping to reach, your website will gradually creep up the search results on Google, Yahoo and Bing. Better page rank will lead to new customers discovering your business and buying your products. This is not something that will happen overnight. You will probably not become the first result on your primary search term after one or two blog posts. In fact, it’s the slow change in search results that causes many people to give up and declare that blogging is a waste of time. But remember that incremental change is different than no change. If you blog, and no one else in your industry does, you are going to wind up with a major competitive advantage in the long term. The results might not be detectible for several months, but it’s inevitable. Blogging always influences search results. It is one of the cardinal rules of the internet. Not to fear monger, but think about the converse for a moment. What if all of your competitor’s blog, but you don’t? Imagine the competitive landscape in a year or two. Imagine trying to dig out of that hole. Personally, it’s not a scenario that I want to face. Good blogs add value to their audiences. That means selling less and teaching more. It means that you aren’t going to be able to make every post an elevator pitch. Michael Hyatt, lauded blogger and publisher, said that he aims for a 20:1 ratio of giving to asking. In other words, he generally tries to give his audience 20 things before he asks anything of them. This isn’t a scientific formula as much as it is a mindset or a sentiment, but the principle is valid. You need to give more than you ask from your audience. That said, if you never make a pitch, you will be wasting your platform. I recommend a soft sell as a great way to promote your products without being pushy. The blogosphere does not respond well to sales pitches–impassioned or otherwise. Figure out how to present your products at strategic times when your readers are looking for a solution. Use your blog to establish the need for your product. Highlight your competitive advantage, your points of differentiation. Explain why you have built your product in the way that you have. Let your audience in on your thought process in a deeper way than usual. This will make them feel like insiders. It’s a short jump from insider to buyer. Blogging is work, there’s no getting around it. The results are gradual and you will probably doubt whether it’s a worthwhile endeavor, but blogging does have clear benefits for small business owners. You ought to do it for the reasons listed here, and more. Are you blogging to benefit your business? What benefits are you seeing that you didn’t expect? Alyse is a marketing, photography, and tech addict who spends her time investigating the next generation of technology. When she is not brushing up on her art of the scientific know how, you can find her contributing to the home of High Speed Internet www.attsavings.com or on tweeting her opinions to the world @Alyse_1.